There'll always be a print copy of every book that here you see. They aren't erased by solar flares or dropping gadgets down the stairs. There are good things in eBooks too: their weight is nil, space they don't use. So make your choice for reading here, on screen or paper, both are clear. 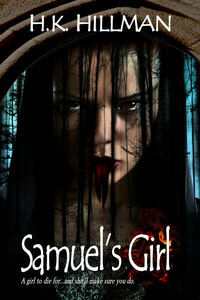 In the middle of the English civil war, an inexperienced young witch calls on demonic help to capture an ancient creature, an evil as old as Time and which inhabits the one known as ‘Witchfinder-General’. She is to be the bait. 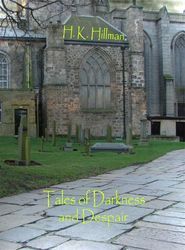 Nineteen tales of terror and despair including two previously unpublished stories. Within these pages are tales that will scare you in your kitchen, in your office and in your bed. There is no safe place. From ancient stones to beer cans, from arcane rituals to dishwashers, the monsters are everywhere. 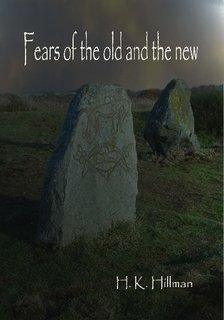 In this collection of short tales you will find demons ancient and modern, mixed with reality and unreality. By the end, you might not be certain which is which. Available in print on www.lulu.com and in a variety of electronic formats from most online suppliers. Sometimes, they say, reading a book can bring out the beast in you. But what if you brought out the beast in the book? That’s what Samuel did when he read an old book. He brought out the most beautiful beast he had ever seen and he made it his girl – and what a girl. All the perfect parts of every perfect woman, blended into one figure. Naturally, she killed him. For Samuel, and for those around him, things went rapidly downhill from there. Published by Eternal Press in November 2012. What do you do if you escape Hell and return to your body, only to find you’ve been cremated and are stuck as dust in a jar? What are those train loonies really up to? Are there really things in the rain, are there supernatural saviours in alleyways, is it safe to deal with demons and if you choose to steal, what are the odds of burgling a house occupied by a demented killer? 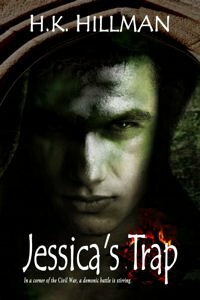 In these eleven tales you will meet monsters both supernatural and human and it’s up to you to decide which are worse – the demons, or the dark thoughts of Man? 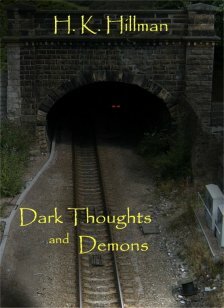 Five short tales of terror and despair, ranging from the unlikely to the possible and even into the probable. The stories included in this small print-only volume have been previously available individually as eBooks. They are 'The Sweet Man', 'Room Service', A Little Knowledge', 'Bernie's Bargain' and 'A Christmas Contract'. It proved to be economically unviable to make them available as individual print books. Thirty-two hand-drawn cartoons from the days before Windows, flat screens and mobile phones. A little humour from this author for a change! 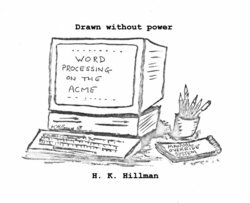 It has so far proved impossible to make a readable eBook from these cartoons so it's print-only for now. Available on Lulu, CreateSpace and Amazon (US).